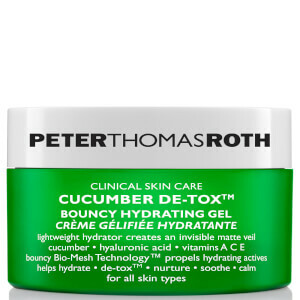 Peter Thomas Roth's refreshing cuucmber detox range is suitable for all skin types. Formulated with botanical extracts of cucumber, this lightweight collection will soothe, purify and hydrate the skin, while protecting against the effects of oxidative stress. Reveal a bright and radiant complexion today.